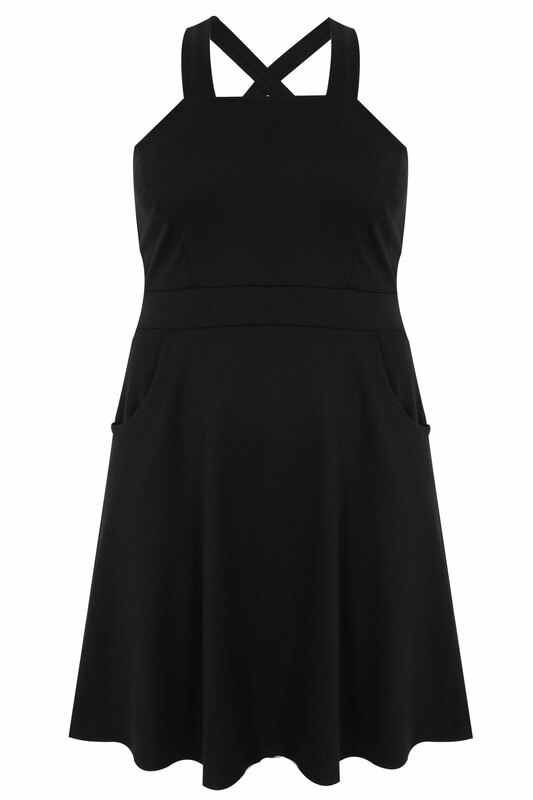 Plus size black pinafore-style dress with two front pockets and panel detail. Made from a soft ponte fabric with crossover straps at the back. 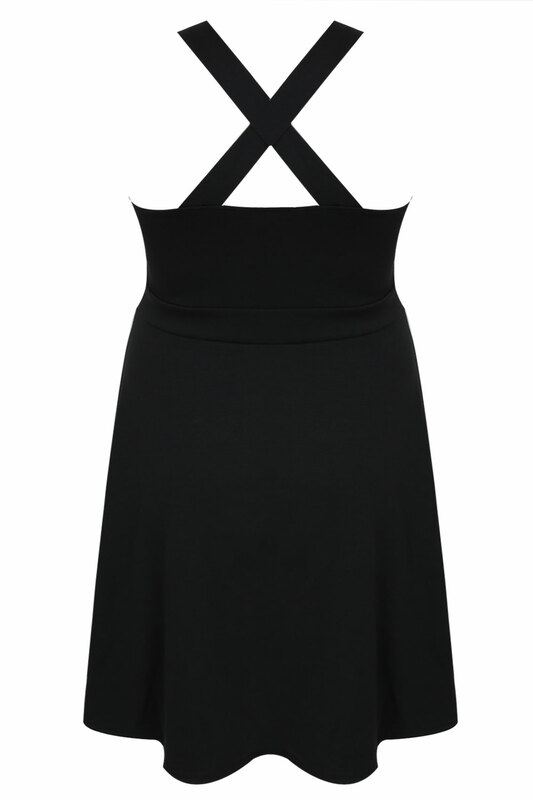 This on-trend skater dress is so versatile, making it a must-have for your wardrobe this season. Wear with a shirt to the office or a long-sleeve jersey top for a cute weekend look.